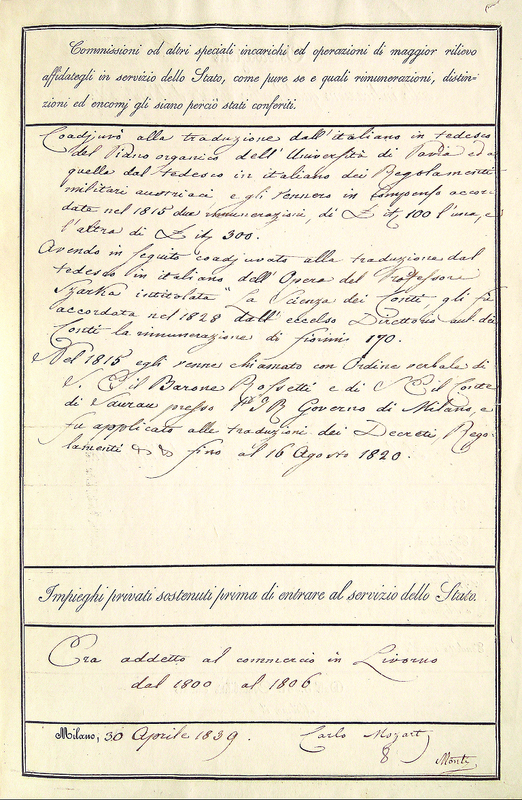 In November 1828 Carl Mozart, "Translator beÿ der Maÿländer Central-Staats-Buchhaltung" in Milan, received a fee of 170 gulden from the I. 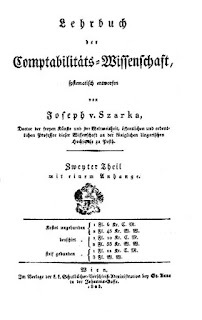 & R. Court Chamber in Vienna for his translation of Joseph von Szarka's Lehrbuch der Comptabilitäts=Wissenschaft into Italian. 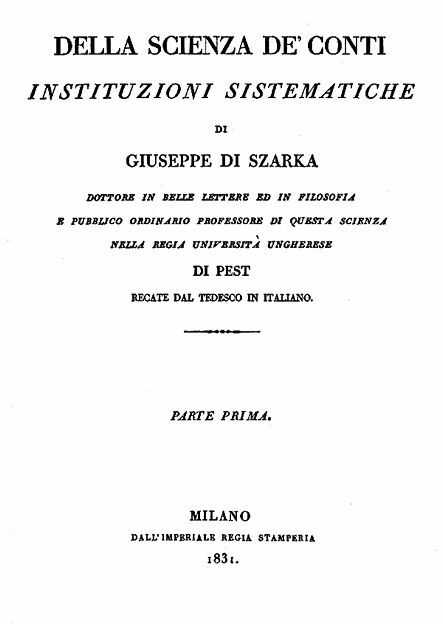 In his official Tavola di qualificazione (table of qualification), which he wrote on 30 April 1839, Carl Mozart listed his translation of Szarka's book among his professional activities. 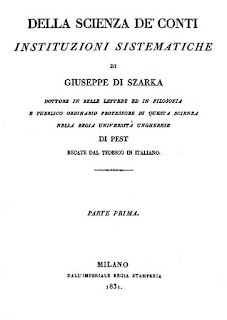 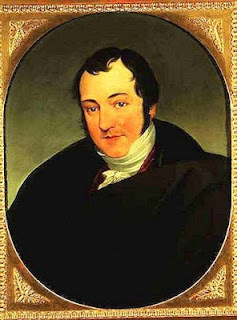 Having subsequently assisted with the translation from German into Italian of the work of Professor Szarka titled "La Scienza dei Conti", in 1828 I was granted by the high directorate of the chamber a remuneration of 170 florins. 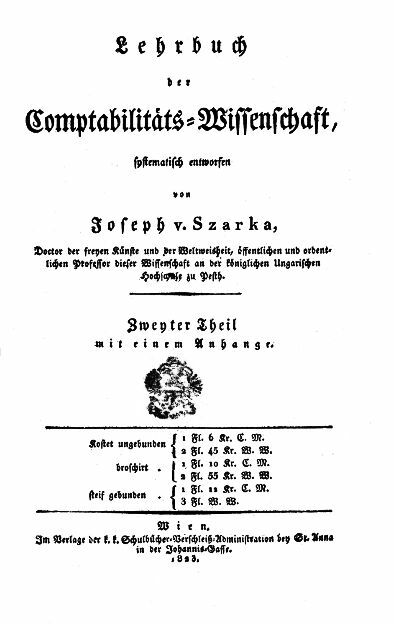 From this table of qualification we also learn that in 1815 Carl Mozart was commissioned to translate the regulations of the Austrian military from German to Italian. 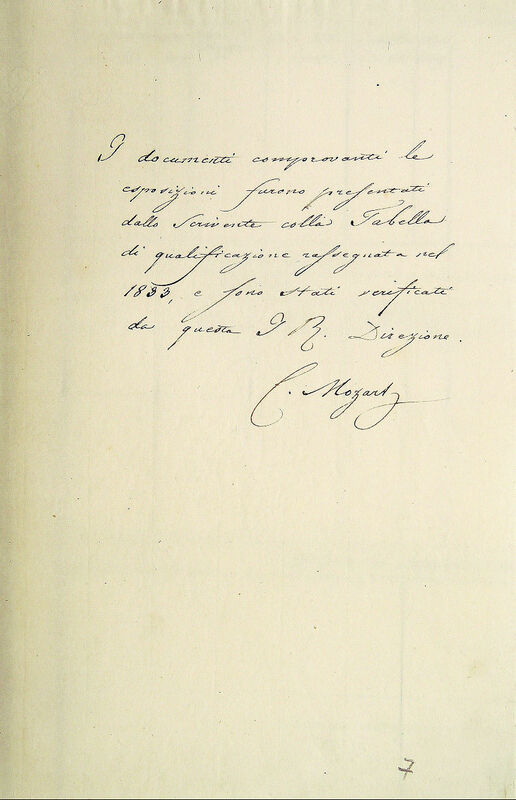 In 1839 he submitted a written statement to the I. R. Contabilità centrale dello stato in Milano that the documents concerning his civil service career had been verified by the same accounting department. 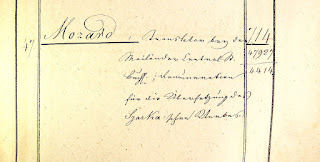 The documents proving the exhibitions were presented in 1833 by the writer, together with the resigned qualification table, and were verified by this I. 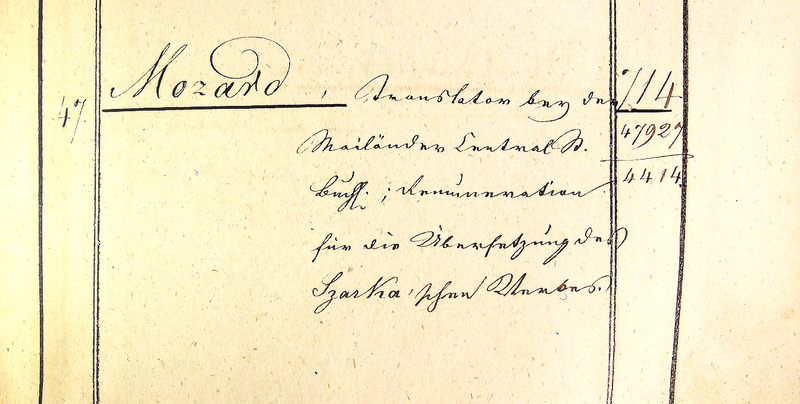 & R. Directorate. 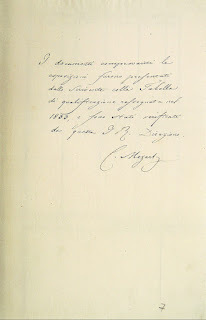 © Dr. Michael Lorenz 2012. Interesting! 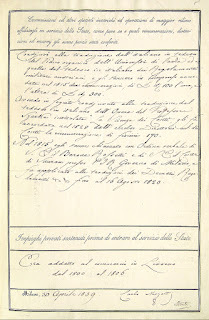 How did you happen to come across this little piece of history and are there other extant traces of his work in Milan?